This would make the S92 a 40ft route, correct? 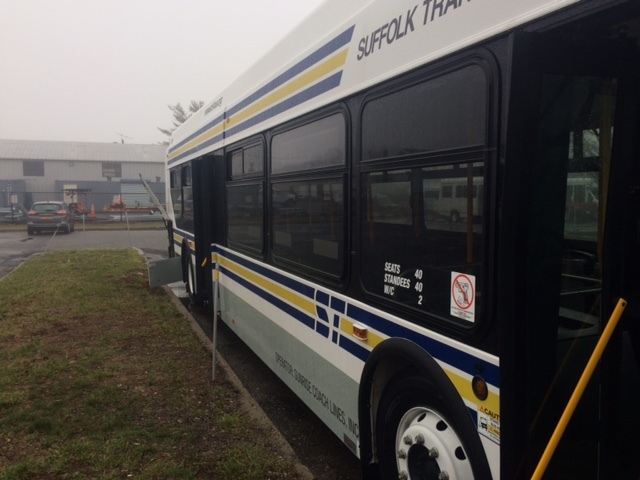 If so, this would be the first 40ft route for Suffolk Transit. 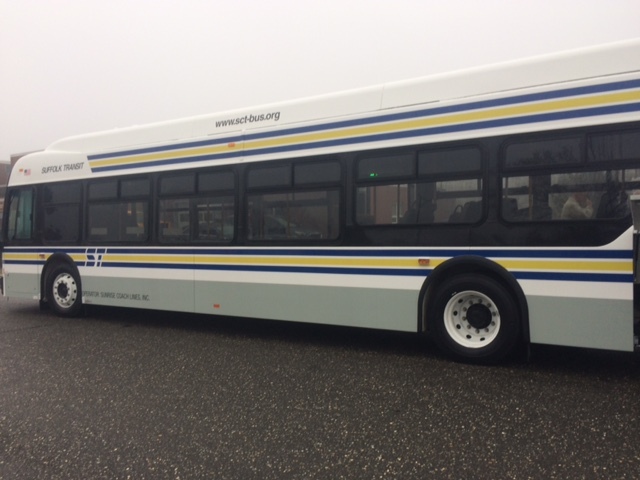 40' New Flyer for Suffolk Transit, #7001. The bike rack holds three (3) bikes! 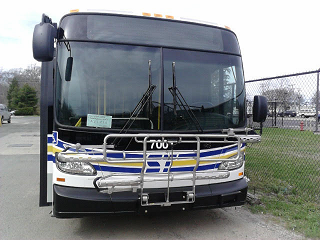 Side views of the same bus. Nice looking bus. Intresting that the bike rack can hold three bikes. 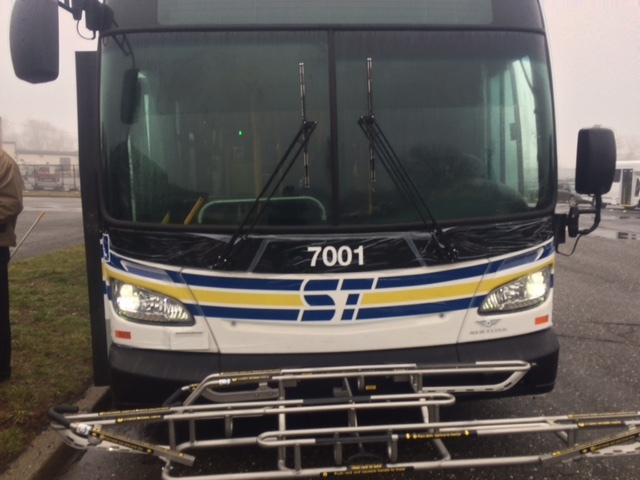 #7001 is now at Sunrise in Greenport awaiting installation of two-way radio, fare box, etc. then NYS DOT inspection. Has a temporary plate in the front window. Should I put #7001 on the roster as at Sunrise or should I wait until it's in Service? Very nice photos Jimbo! Would you mind if I shared these photos? You will get credit for them but I just wanted to ask you before I post. Suffolk County press conference Monday, May 1, 2017 re: new buses. Interesting how the article acts like all 70 something buses are coming when according to New Flyer it seems like only 30 should be coming right now. Also I like how my count has ST having 150 something and yet Newsday says its like 140 something. I wonder which one of us is wrong.